Company: UBE Chemicals(Asia) Public Co. Established on February 1, 2010 through a merger of Thai Caprolactam Public Company Limited (TCL) and Ube Nylon (Thailand) Limited (UNT), UBE Chemicals (Asia) Public Company Limited (UCHA) is the only producer and distributor of caprolactam and ammonium sulfate in Southeast Asia and the first specialist manufacturer in Thailand with the ability to produce nylon-6 resin, from monomer to compound. Nylon is a widely used material in the automobile industry because it is heat resistant. In addition to engine parts, it can be found in oil containers, wire harness connectors, fuse boxes, cylinder head covers, crankcases, timing belts, and wheels as well as motorcycle body frames. Nylon is also utilized in tire cords to increase their strength, and there is a growing trend to use nylon compounds in such components as intake manifolds and automotive modules. UCHA is focused on becoming more competitive while maintaining high quality and safety. The company has ISO 9001, ISO 14001, and OHSAS 18001 certification and strictly follows quality and process improvement practices such as total productive manufacturing (TPM), Kaizen, and 5S. 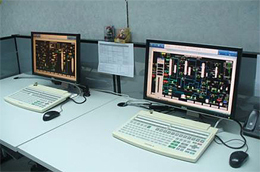 At the Rayong nylon-2 plant, Yokogawa Thailand successfully installed the CENTUM VP production control system, and the plant is now operating very smoothly. Always looking for new technology that can improve production efficiency, UCHA opted for CENTUM VP, Yokogawa's latest process control system, at its new nylon-2 plant. All auxiliary control systems running on packaged PLCs were integrated with CENTUM VP through a Modbus interface, allowing the display of all process data at operator terminals. 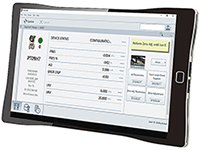 A rich variety of data is displayed on the CENTUM VP human machine interface, but it can be easily accessed by the UCHA operators and engineers thanks to a very ergonomic design. The Exaquantum plant information management package runs under CENTUM VP, allowing the assignment of more than 2,000 types of process data. UCHA now uses Exaquantum for reports, plant performance calculation, and operation data analysis. A fiber optic link to a nearby UBE fine chemical plant allows all important production data to be monitored in a plant information system and to be accessed at UBE's Japan headquarters. 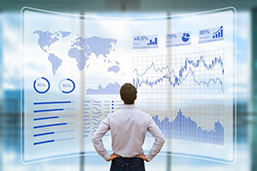 Together, Yokogawa's reliable CENTUM VP control system and the Exaquantum data collection and analysis package are contributing to production excellence at UCHA. UCHA's operation and maintenance teams conducted a study at the beginning of the engineering phase at the nylon-2 plant to classify and rank each field device according to quality and safety criteria. In so doing, they established a standard maintenance interval for each device. At the plant startup stage, PRM was used together with FieldMate to thoroughly check all loops and confirm the characteristics of each control valve. This was much more efficient than the former labor-intensive manual loop checks. Today the plant is operating normally. Field operators check all the field devices every shift and the maintenance department is using PRM to check the condition of all the field devices on a monthly basis. Based on the classification/ranking and the results of using PRM, UCHA is now considering additional proactive maintenance measures to reduce maintenance costs. Vasit Chavanavatch, Control & Application Engineering Manager, said, "The nylon-2 plant just started commercial operation in 2010. At this time, Yokogawa's DCS is operating well. This DCS is quite a new system for the UBE plants in Thailand, but CENTUM VP's human machine interface is very easy to use and the density of valuable data in each display helps us improve our operational efficiency. Our first phase target was to start up this new plant smoothly, and we completed that without any severe problems. 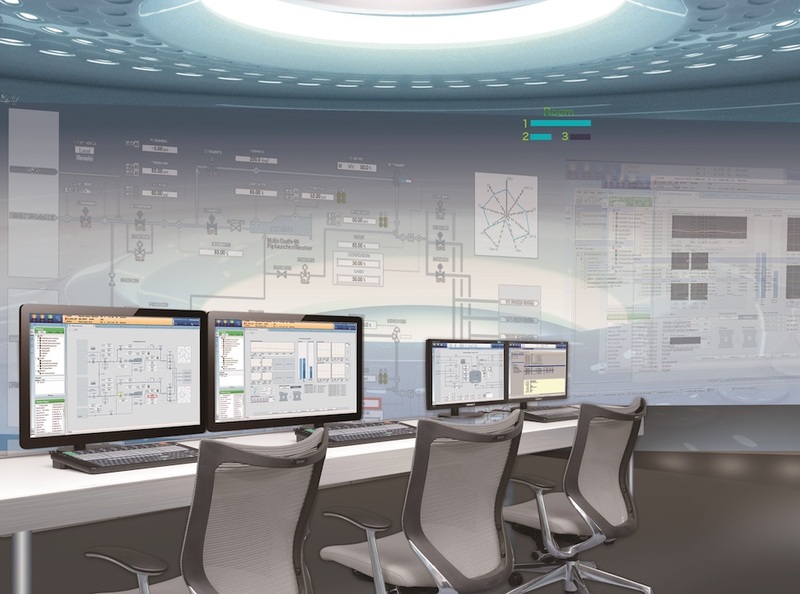 We are now looking to make further use of the connection between our FOUNDATION fieldbus devices and the PRM package, using data from the devices not only for proactive maintenance but also process analysis."